Lijiang, Southwest China's Yunnan province, was named "China Charm Tourism City" at the grand ceremony for the 2018 China Lijiang NetEase Attitude City and the NetEase Global City Partner Conference held on Jan 11 in Lijiang. Judges stated that Lijiang embodies the wisdom of ancient civilizations and of people of all ethnicities. Its greatness lies in its harmonious mixture of natural and manmade beauty. Lijiang has 20 A-level tourist sites, of which five are 5A-level and seven are 4A-level. In recent years, Lijiang has been strengthening order and supervision within its tourism market in an attempt to improve the quality and level of tourism services in the city. Lijiang currently has a complete tourism industry that involves food, housing, travel, shopping and entertainment, making it an extremely attractive destination for tourists in Yunnan and across China. The Snow Mountain Academy lecture series of the Old Town of Lijiang, submitted by Lijiang, was awarded the City Attitude Political Energy Award. 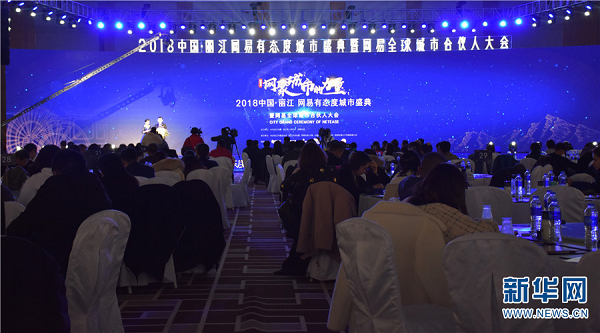 In addition, Yulong Snow Mountain Scenic Area, the InterContinental Lijiang Ancient Town Resort and the tourism development committee of Lijiang won the awards for Most Popular Scenic Spot in Yunnan, Best Yunnan Hotel and Yunnan Development Contribution, respectively.